1.Spray seeding is more and more applied in road greening. 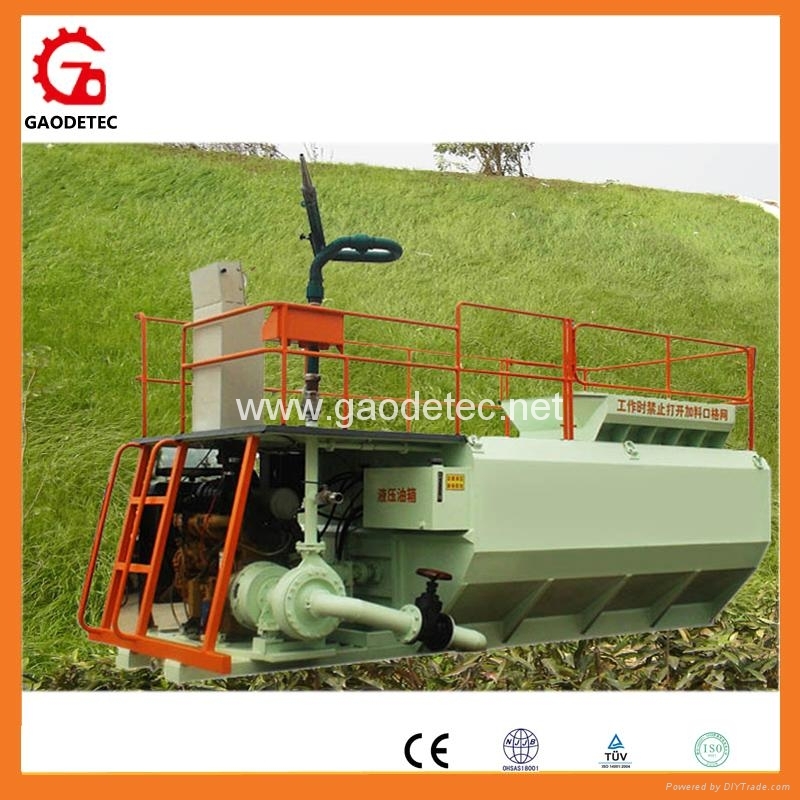 2.PB series artificial soil spraying machine involves in planting permanent vegetation, spraying slurry, slope protection, grassing and erosion prevention. 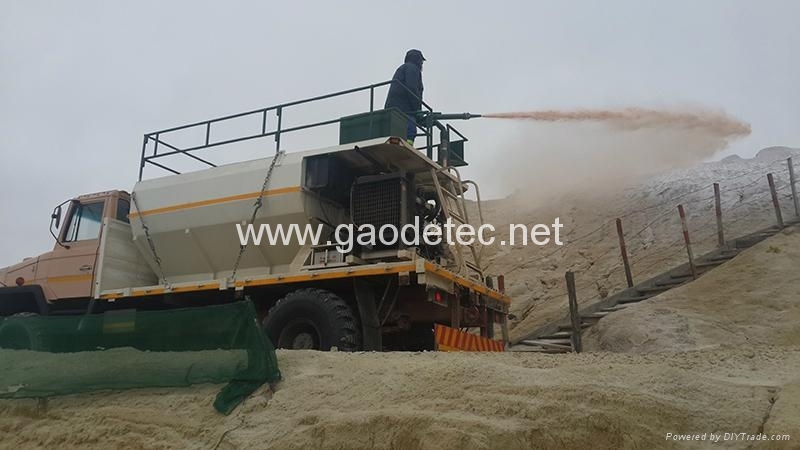 3.Soil spraying machine driven by single diesel, electronic control, easy operation, especially suitable for outdoor conditions, applicable to all kinds of rock slope, hard soil, poor soil, acidic soil, arid zones, clay soil and coastal dam, etc. The application of seeding machine : spraying technology in vegetation restoration and slope protection project. 1.The material of main structure is made of high quality structural steel. No matter how worse the conditions are, it ensures seeder sturdy and solid. And it has reasonable, generous appearance. Painted with imported painting to guarantee of three-year no fading. 2.Advanced technology, it even works for mud materials which have poor mobility, no blocking, and no stopping, well adaptation of various materials, big output pressure. 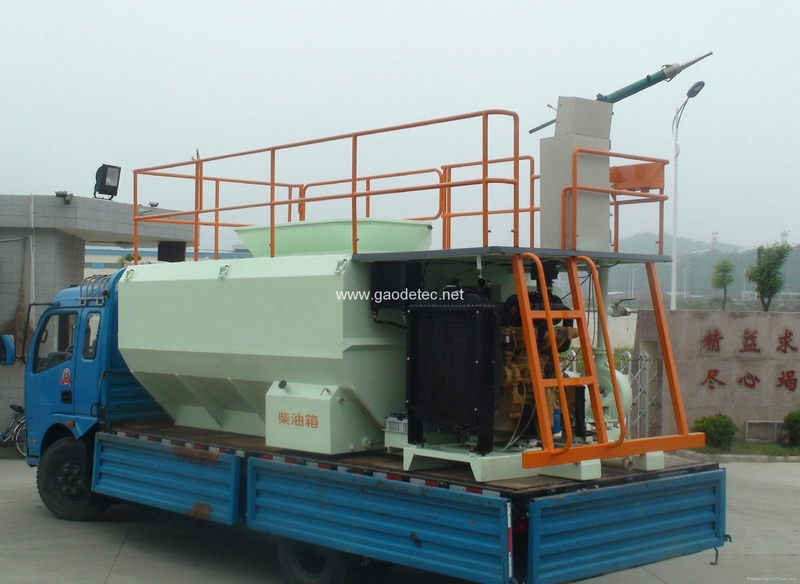 3.Two mixing models, blades mixing and circular spray, are powerful enough to ensure the spraying mixture in the planting process is in fully suspended and fully mixed stated, evenly emitting the mixture of raw materials at one time. 4.It has strong power, the maximum head can be above 60m, and be equipped with many types of spraying guns, which extend the maximum operation scope from 200m to 300m; fan-shaped spray nozzle or mist spraying is more suitable for close-distance planting to meet various requirements. 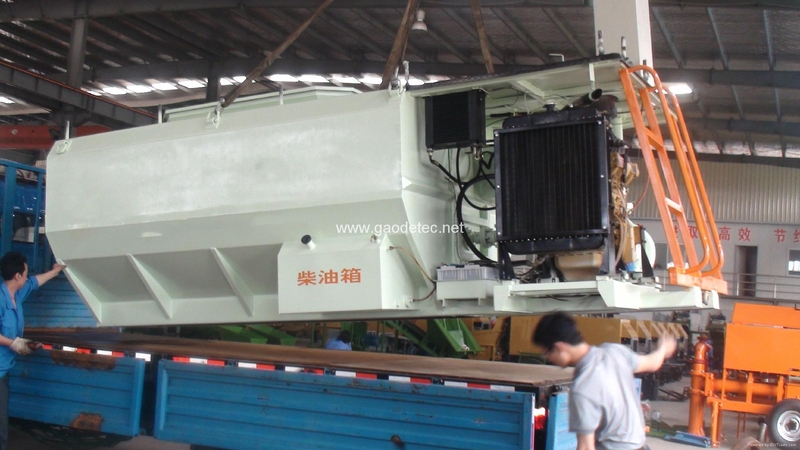 5.This machine has wide usage, not only can be applied in spraying planting for rice, grass, tress, flowers, seeds, and other crops, but also in irrigation, fertilize, pesticide spraying and other daily care, soil improvement work. 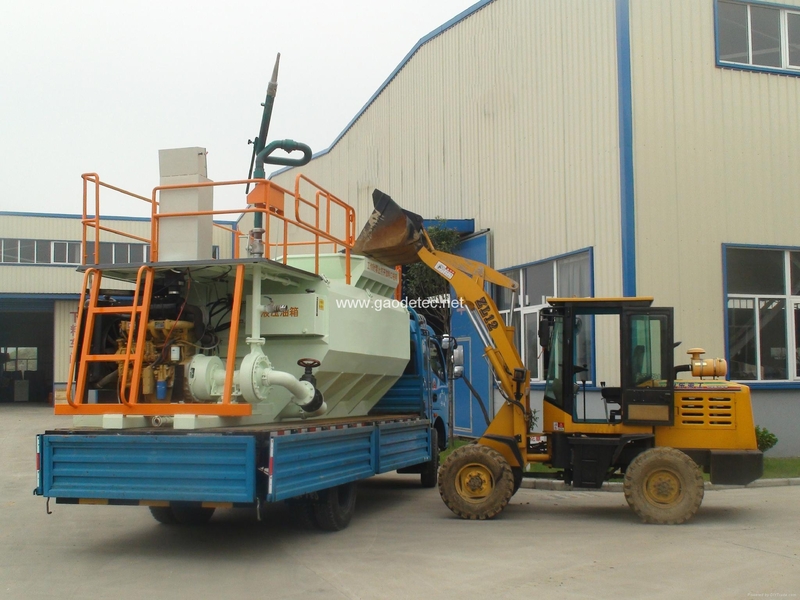 This machine can also mix different materials like seeds, fertilizer, soil conditioner, seed adhesives, moisturizer, straw, fiber covering materials, yellow soil, red soil, sandy soil and clay, evenly emitting slurry materials with big proportion, high and super concentration. 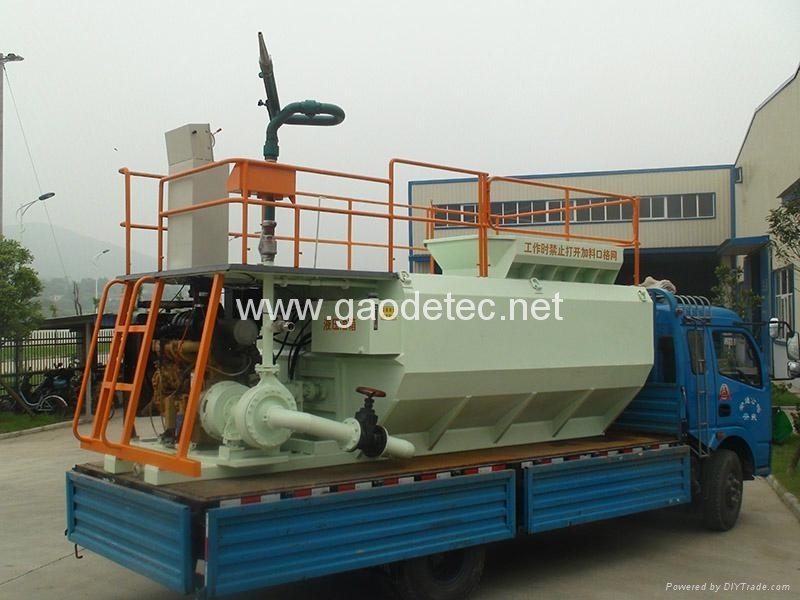 6.Our soil spraying machine can also use as a hydroseeder.